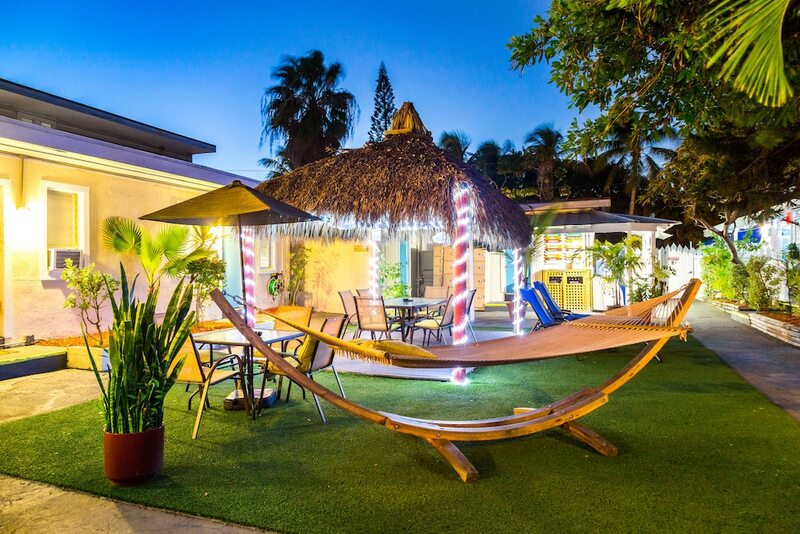 With a stay at Seashell Motel & Key West Hostel, you'll be centrally located in Key West, within a 5-minute walk of South Beach and Duval Street. This hostel is 0.4 mi (0.6 km) from Key West Butterfly and Nature Conservatory and 0.4 mi (0.6 km) from Higgs Beach. Make yourself at home in one of the 10 air-conditioned rooms featuring refrigerators. Complimentary wireless Internet access keeps you connected, and cable programming is available for your entertainment. Bathrooms feature showers, complimentary toiletries, and hair dryers. Take advantage of recreation opportunities such as bicycles to rent, or other amenities including complimentary wireless Internet access and tour/ticket assistance. Additional features at this hostel include a picnic area and barbecue grills. Seashell Motel & Key West Hostel features tour/ticket assistance, barbecue grills, and multilingual staff. Wireless Internet access is complimentary. This Key West hostel also offers a picnic area, laundry facilities, and a safe deposit box at the front desk. Limited complimentary onsite parking is available on a first-come, first-served basis. Seashell Motel & Key West Hostel has designated areas for smoking. This property requires a key deposit in cash upon arrival. To obtain additional information, please contact the office using the information on the reservation confirmation received after booking.